November 16, 2011 was a historic date: that’s when the US officially surpassed $15 trillion in debt for the first time since World War 2. We celebrated it by cheering $15,OOO,OOO,OOO,OOOBAMA. Today, August 28, 2012, is when we can unofficially celebrate again, because 286 days after the last major milestone was surpassed with disturbing ease, total US debt following today’s $35 billion auction of 2 Year bonds is, well, in a word: $16,OOO,OOO,OOO,OOOBAMA! That works out to a rate of increase of about 3.5 BILLION dollars per day. 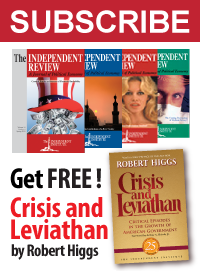 Looking at the big picture, it now appears that the U.S. federal government will run into the nation’s statutory debt ceiling, again, around November 22, 2012. 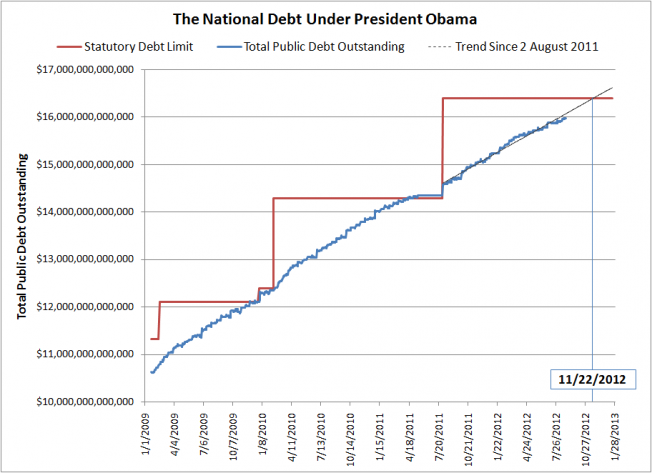 According to James Bianco, who has been regularly tracking the growth of the national debt under President Obama, that’s despite the Obama administration’s intentional efforts to slow debt sales beginning this summer to avoid hitting the debt limit. To us, the effort appears designed to avoid hitting the limit before the November 6 national election. Looking over President Obama’s tenure in office, the U.S. federal government’s total public debt outstanding was recorded at $10.6 trillion on January 20, 2009 when he was sworn into office. Projecting forward to Inauguration Day in 2013, if not for the absolute certainty that the national debt will run into the nation’s statutory debt limit in the next several months, the U.S. national debt would be on track to hit $16.6 trillion on that day, which we base on the average rate of increase of the national debt since the last time the U.S debt ceiling was increased on August 2, 2011.